I haven’t visited every minor-league ballpark in the country. Far from it. I haven’t even thoroughly researched them all, looking for photographs to see which are the most attractive, which fit into their neighborhoods the best. But I can’t imagine any ballpark that fits its location more than Brooklyn’s Keyspan Park. My first visit to Coney Island came last July 3, when my friends Brad and Matt came with me from an afternoon Mets-Yankees game at Shea on a long subway odyssey down to the end of Brooklyn, where Surf Avenue runs along the amusement rides and the ballpark, all of which are nestled in right along the shoreline. When the three of us walked up the steps inside the front gate and turned the corner onto the concourse, the breeze off the Atlantic hit us like walking into a cool movie theater on a hot summer day. It was, indeed, like air conditioning. The same effect cooled off Casey and me last night. We wandered down the right-field line to our seats in the bleachers, breathing the sea air and watching the red-and-gold clad Cyclones players warming up with sprints in the outfield. Faint sounds of a band on the beach behind us reached our ears during the quiet moments between public address announcements of Ironbirds batters or Brooklyn business promotions. While most of New York endured a hot and humid day, those of us who had come down to Coney Island had to endure less of one. A warm summer night, a cool breeze, a cold beer: It was the perfect setting for a baseball game. In a setup like that, who cares what the score is? Many Brooklynites — or Mets fans, like myself — cared little for the final 5-0 score in favor of visiting Aberdeen. There were, certainly, some cries of exasperation when one Cyclone struck out by swinging at one pitch in the dirt and another at eye level, but without taking a formal survey, I’m sure the smiles outnumbered the puts by a healthy margin. When Brooklyn built its ballpark, there was really only one place to put it, and that’s where it rose. Trenton did the same thing with Waterfront Park along the Delaware River; Camden got it right with Campbell’s Field at the foot of the Ben Franklin Bridge. Atlantic City, no doubt hamstrung by real estate rates along the boardwalk, couldn’t build a ballpark on the beach, though in a perfect baseball universe, that’s where it would stand. 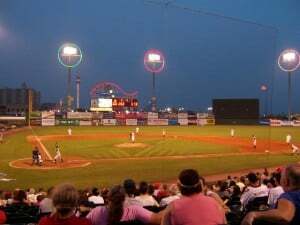 Instead, fans look out on a field with the casinos in the distance serving as a backdrop. A small airfield beyond the left-field fence provides the spectacle of helicopters and private planes taking off and landing rather than the cries of seagulls and children on the sand. It’s no wonder that most of Brooklyn’s 30-plus-game home season sells out, or at least sees many games reduced to bleacher-only availability. 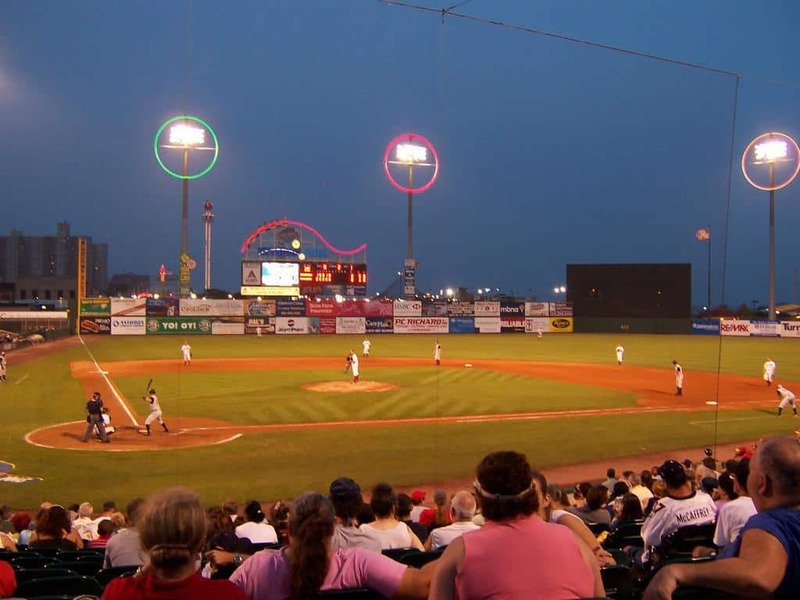 Nor is it a surprise that the 66-year-old New York-Penn League chose Keyspan Park for the site of its inaugural all-star game, to be played on Tuesday. It may just be the perfect place for a ballgame. Refinance your Home loan Now, Click Here to save thousands of dollars a year on your home loan.